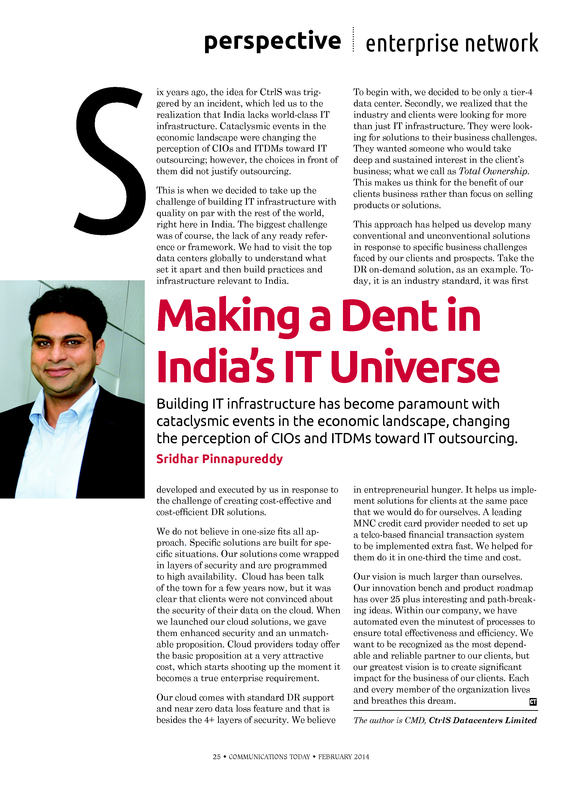 Mr. Sridhar Reddy, our CMD, presented at a recent event – Convergence India 2014 held at Delhi. He was moderator for the session “Cloud Solutions for Business- Building a successful and secure business on cloud”. The event was covered by many media partners. Communications today was one of them and published excerpts of his presentation as guest column in its February edition. This entry was posted in Events and tagged it infrastructure on February 19, 2014 by admin.